Weber’s eye for detail places the reader in the Seattle setting and brings the story to life. Murder Strikes a Pose is entertaining. I laughed, I even shed a tear. Thought of doing yoga for a sec or two. You know a book is fantastic when it’s your first read of the new year and you immediately know it’s going to be on your “Best Books of the Year” list. …I didn’t want to stop reading. 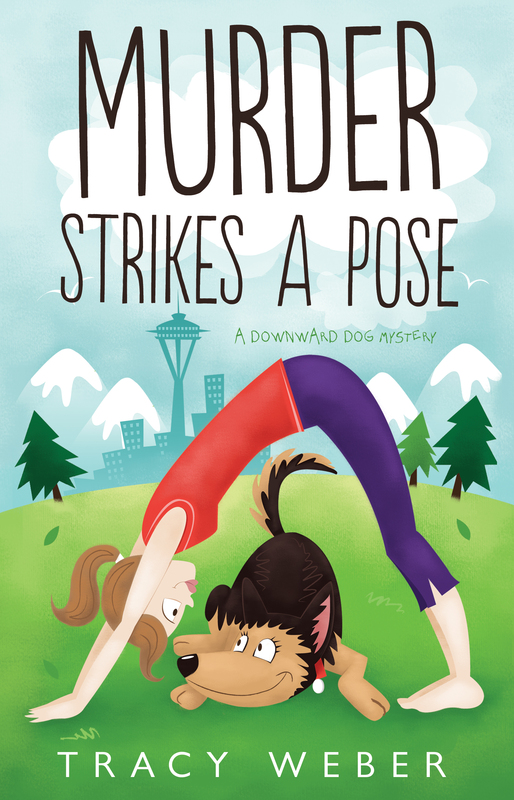 Yogi Kate becomes a Savasana sleuth in this debut mystery. Yoga instructor Kate Davidson tries to live up to yoga’s Zen-like expectations, but it’s not easy while struggling to keep her small business afloat or dodging her best friend’s matchmaking efforts. Then Kate finds George’s dead body. The police dismiss it as a drug-related street crime, but Kate knows he was no drug dealer. Now she must solve George’s murder and find someone willing to adopt his intimidating companion before Bella is sent to the big dog park in the sky. With the murderer on her trail, Kate has to work fast or her next Corpse Pose may be for real. Tracy Weber is a certified yoga teacher and the founder of Whole Life Yoga, an award-winning yoga studio in Seattle, where she currently lives with her husband and German Shepherd. Weber is a member of the Pacific Northwest Writers Association, Dog Writers Association of America, and Sisters in Crime. She loves sharing her passion for yoga and animals in any form possible. 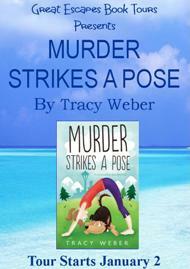 Murder Strikes a Pose is Weber’s debut. The author will give away 1 autographed copy at each stop.